Since the early 1900s homes have benefited from a powered version of the washing machine, with the appliance becoming an important part in our daily lives. 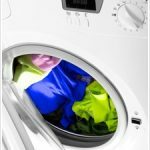 Yet, the pressures we place on our washing machines can result in faults developing over time, which if left can not only result in the appliance performing ineffectively, but can also cost you extra money on your utility bills. Failure to clean your filter can prevent your washing machine from draining or the drum spinning. But with a simple clean, as outlined in “How to Remove and Check a Washing Machine Filter”, you can make sure your filter is empty and your machine working. The door seals on your washing machine play an important role in preventing leaks, so it is important to not only ensure they do not become worn or damaged, but to also ensure they are not hindered by a build up of dirt. Cleaning the door seals on your washing machine needn’t be more than a five minute job. Simply spray anti-bacterial spray over the door seal, allow it to soak in and then wipe clean with a damp cloth. Although it is worth noting that if mould has stained the door seal, it may not be possible to clean the discolouration away and the seal may need replacing, and you can see how to do this in the video below. If you have a quick look in your detergent drawer, you may notice a build up of black mould – which contributes to unpleasant odours being emitted from the appliance. Removing such dirt isn’t difficult once the drawer has been removed from the appliance. 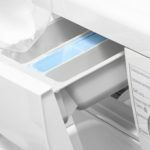 To find out the best way to clean your detergent drawer, using a dedicated cleaning product such as the BuySpares Limescale and Detergent Remover which is highly recommended for general washing machine cleaning too – we recommend you watch the video below. Cleaning the internal parts of any appliance is just as important as cleaning those parts which are visible to the naked eye, and the best way to do this on a washing machine is via a maintenance wash. 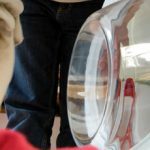 The best way to carry out a maintenance wash on your washing machine is explained in the article “How to Perform a Washing Machine Service Wash”. 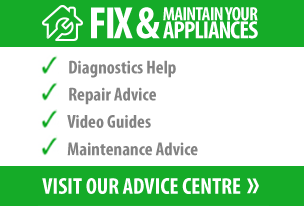 Ventilate – few of us leave the door of our washing machine open once a wash cycle has finished. Closing the door prevents air from being able to ventilate the appliance. This in turn hinders the drying process and increases the risk of mould and bacteria building up. Increase the number of hot washes – washing at cooler temperatures allows bacteria to survive, increasing the risk of mould and unpleasant odours. It’s important to make sure you carry out a few hotter washes from time to time. If you don’t have any laundry which needs to be washed on a hot wash, carry out a maintenance wash. Taking the time to clean your washing machine will help to maintain its efficiency, allowing you to rest in the knowledge that your appliance will last longer. Further advice on how to clean and maintain your washing machine, to ensure it saves you time and money, can be found in our posts “3 Steps to Save Money with Your Washing Machine” and “5 Super Tips to Help You Maintain Your Washing Machine”.